Detective Pikachu maybe solving cases on the 3DS but Detective Gallo is sleuthing his way onto Nintendo Switch. 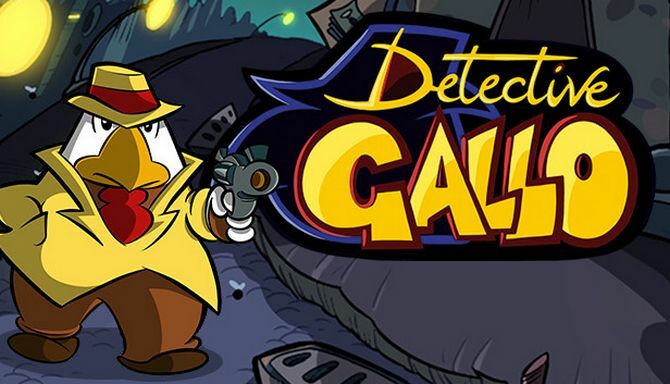 MixedBag are happy to announce that their game Detective Gallo will be releasing on Switch on August 17. Below, we have an overview of the game and a trailer. Detective Gallo is a point & click comic-noir adventure that is entirely hand-illustrated and hand-animated, and whose protagonist is a feathered and grumpy private eye struggling with a very tricky case, bizarre characters, and puzzles that will put his insight and patience to the test. – A non-violent adventure, inspired by classic cartoons and the best point&click adventure games of the past! – Play as Gallo, a… rooster noir detective, and investigate on a multiple plant murder! – Meet lots of incredible characters, all hand-animated, frame-by-frame. – Dozens and dozens of logical puzzles and quests! – Listen to over 50 minutes of original pure jazz-noir soundtrack! – Fully dubbed in English and Italian, with multi-language support!